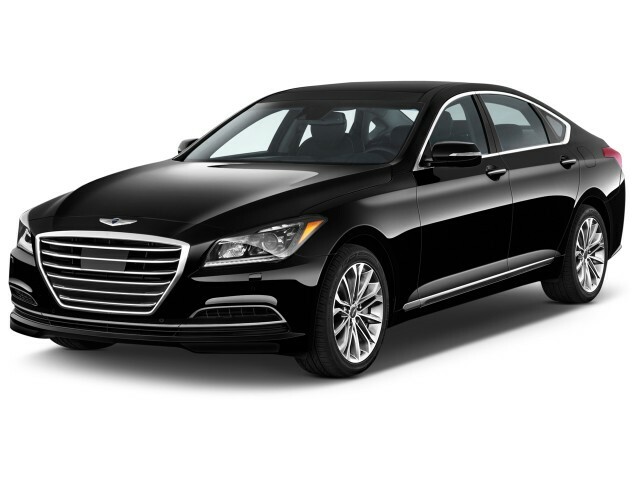 The Hyundai Genesis sedan is a bargain-priced, near-luxury competitor for the Chrysler 300, Infiniti Q70, and Lexus GS. In its second generation since the 2015 model year, the Genesis now has more stately styling and an all-wheel-drive option. It was the automaker's first real attempt at building a luxury car and now, it feels more premium than ever. With the new Genesis, Hyundai has remedied the few failings of its original large sedan. Revamped infotainment gear, more refined finishes, and a full suite of active-safety features on offer—and a base price under $40,000—give the new Genesis a mature profile that's more Lexus-like than ever. The standalone Hyundai Genesis Coupe, though it shares some of the sedan's rear-drive components, isn't aimed at luxury buyers in the same way the sedan is. Recently, Hyundai announced plans to move its Genesis cars into their own brand. The current Genesis sedan was rechristened the Genesis G80 for the 2017 model year. The Genesis's new roofline and grille are striking. Influence from other brands is once again evident: The grille has grown up, down, and out in Audi-like ways, and its winged badge looks to have been lifted from a Bentley, while the references to BMWs in the side profile are unmistakable. Inside, the Genesis has more of its own identity, with a horizontal theme and a great layout that’s attractive and sensible, and covered in satisfying amounts of LCD shimmer and wood luster. Powertrains from the prior version carry over into the second-generation Genesis. 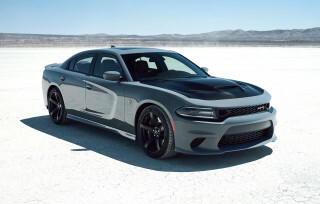 The base engine remains a 3.8-liter V-6, which is now rated at 311 horsepower and 293 pound-feet of torque; the 5.0-liter V-8 puts out 420 hp and 383 lb-ft. Both are teamed to the same 8-speed automatic with paddle shifters. 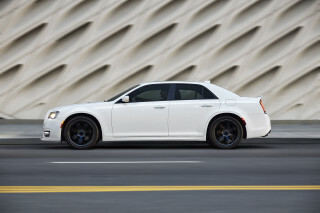 Rear-drive is standard, with all-wheel drive newly available, but only on the V-6 car. The rear-drive Genesis V-6 is now lighter by about 400 pounds, and it feels it. 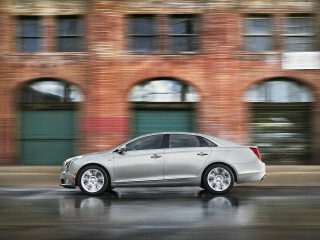 Top models with the V-8 now include an adaptive air suspension, and all versions have well-tuned electric power steering. Hyundai even enlisted help from Lotus for chassis tuning of the new sedan. Interior space and comfort are improved, and so is safety. The Genesis has received five stars across the board in the NHTSA's testing and is an IIHS Top Safety Pick+. A suite of active-safety technology is now available, from active lane control to blind-spot monitors and adaptive cruise control. Hyundai's second-generation Blue Link telematics system made its debut in the 2015 Genesis sedan. New features include integration with Google Glass; Google Destination Search; remote start; and a new system of notifications that reminds drivers to warm their car in cold weather, or gives recommended departure times for a destination entered into the navigation system by smartphone app. As one of Hyundai's newest models, the Genesis is expected to provide compatibility with Apple's CarPlay system soon. 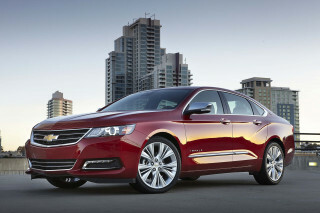 Base prices start just below $40,000, while a well-equipped V-8 Genesis tops $50,000. Only minor changes were made to the Genesis sedan for the 2016 model year. In its first generation, the understated lines of the Hyundai Genesis were a welcome shift in direction. The Lexus and Infiniti references were unmistakable. This first Genesis's interior was very roomy, though the seating was in need of more support, particularly in the R-Spec model. Leather trim on the dash was available as an option. 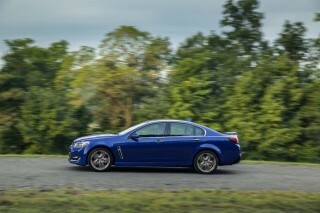 Safety was exceptional: in its first year, the Genesis won a Top Safety Pick honor from the IIHS. As with the German cars in the class, Genesis buyers could select from several engine choices. The choices over time included a 3.8-liter V-6 with 333 horsepower, a 385-hp 4.6-liter V-8, and eventually, a 5.0-liter V-8 with 429 hp. A 6-speed automatic was swapped out for a new 8-speed automatic transmission in its final years on sale. All first-generation Genesis sedans routed power to the rear wheels. Handling was softer than the German competition, but Lexus owners wouldn't have found anything objectionable in this Genesis. The R-Spec edition was tuned for more aggressive handling, but it came off overly stiff and less composed. The first Genesis sedan was one of several Hyundai vehicles whose fuel-economy figures had to be restated in late 2012. For a number of 2011 through 2013 Hyundai models, the EPA calculated that overstated gas-mileage ratings did not hold up to confirmation testing performed by the agency. Owners received reimbursements for extra fuel used through a special website set up to handle the claims. This is a great car that is roomy, quiet and has a solid road feel. Nicest car I've ever driven. It's a keeper! The leather seats and the interior are top notch with the feel of high quality. The eight speed transmission shifts smoothly and quietly. excellant in all cat. other than fuel economy.the last 10 cars iv ether bought or leased (avalons) do not compare. Excellent vehicle for comfort and ride. Features are awesome and safety fearures make me feel very comfortable when driving family.